Yes, you can train a rabbit! Many people are surprised when I mention that you can train a rabbit. Even the fact that Mario uses a litter box raises some eyebrows. 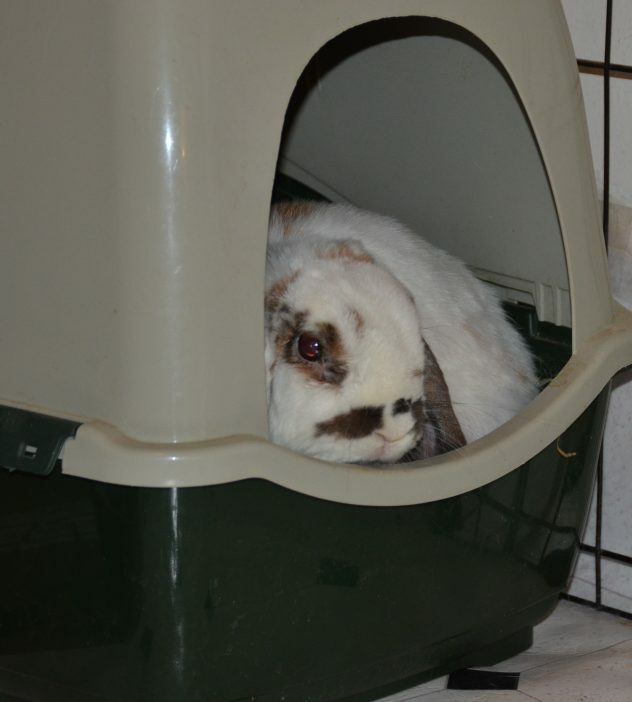 Litter box training really just capitalizes on a rabbit’s natural instinct to do all their business in one location. But hey, it is a great trait they have and I won’t complain about that. Can I get some privacy here?! The first thing I taught Mario was to return to his enclosure every night at bedtime. I started off leading him back home while holding a grape in front of his nose all the while saying, “Go home! Go home!” Eventually I would just toss the grape in his house and he’d run in and search for it when he heard the command. Nowadays he knows his bedtime veggies will be in his house and he’ll run home to find them when I say the command. So I suppose for him it means, “There’s food in your house!” but it gets the job done all the same. Mario also knows the word, “No!” For a while I thought it was just the loudness or intonation that got his attention. Years ago Mario was a husbun and I had two rabbits. I realized not only were they aware of what “No!” meant, but they also knew when they were misbehaving. If one rabbit was lounging around and the other was chewing on the furniture, a loud “No!” would cause only the guilty bun to spin around while the innocent party would continue relaxing. I briefly tried clicker training with Mario. I think when he was younger he would have really taken to the method. In his older age he is not as food motivated and it is hard to keep his attention for periods of time. 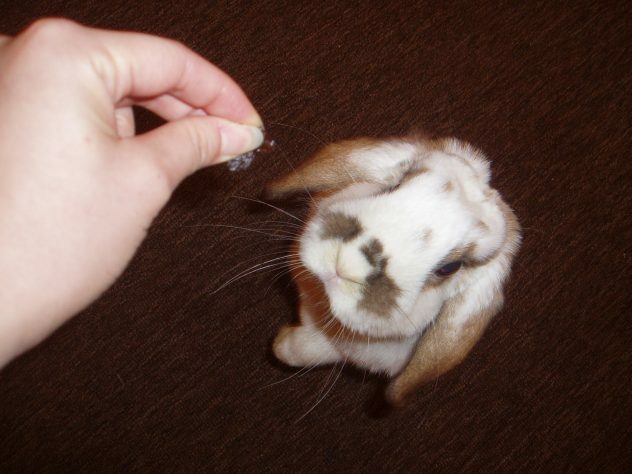 But if your rabbit is food motivated you could use their daily pellet ration as “treats” during the training so you don’t have to use too much sugary foods. For me to do clicker training with Mario now I’d have to resort to high-value treats like raisins to keep his attention which wouldn’t be good for his health. Mario has also trained us. I keep his treat bag in the kitchen and I suppose it started off with my giving him a treat when I was in there. But nowadays he’ll see us heading there and will hop right up and run after us. With him trailing at my heels I can’t help but get a treat for him even if that wasn’t the initial intention. What can I say? I’m a sucker for his furry face. Sandra lives in San Francisco with her husband and Mario. To get more Mario tales, visit her blog at RoadBunner. Sometimes rabbits and sometimes running but over there Mondays are always for Mario.